About Diana S. Message Diana S.
TOUR GUIDE RESPONSE: It was great to be with you again. Thanks for all! Diana was just lovely. She was very knowledgable about the history of Athens, and the cuisines. The food was great. TOUR GUIDE RESPONSE: Thank you so much! I hope you had a great time. TOUR GUIDE RESPONSE: Thank you! I hope you had a great time in Greece. Diana is a wonderful tour guide with a wealth of knowledge and years of experience! We enjoyed our tour of Athens and really got to see a lot in the time we had. She is very personable and a joy to be around. We would highly recommend this tour. Diana was an amazing tour guide for us. Her knowledge and kindness were extraordinary. We felt like we had made a new friend by the end of our tour. I highly recommend asking for her to be your guide! Diana spent a day with us showing us Athens. It was a great day, her knowledge of the various historic sites was excellent. However she also showed us many other "local" areas and we enjoyed our day immensely, feeling we had in one day managed to get a wonderful overview of the city from its many perspectives. We would thoroughly recommend Diana. We were looking for a day trip away from Athens and Diana was able to deliver a great day in Ancient Corinth and Cape Sounion. She brought the ancient sites to life. The best was the lunch following seeing the Temple of Poseidon in Sounion. We picked out our own 2 pound fish which was freshly grilled to perfection and served while watching the tide come in on the Agean Sea. TOUR GUIDE RESPONSE: This is Greece! Keep having fun and enjoying life. Diana was professional, knowledgeable, and friendly. 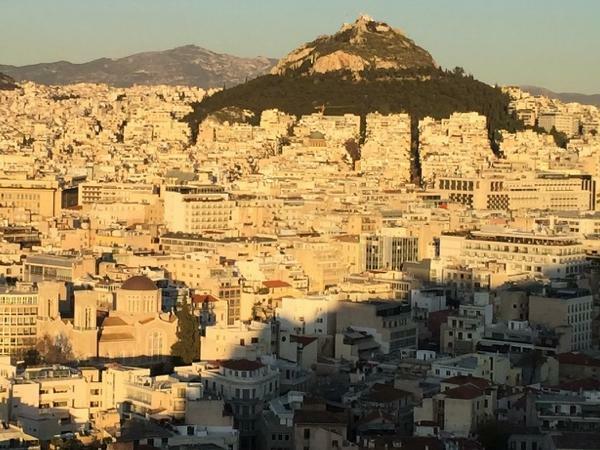 We felt like we got a good local view of Athens and wouldn't hesitate to use her again. Diana gave us the best experience during our first visit to Athens! Our visit coincided with a national holiday (Labor Day, May 1st) and Diana was flexible to accommodate plan changes due to this holiday (closure of streets and attractions). After a quick tour of Plaka and the Panathenaic Stadium, we headed out of town to see the Marina of Zea then Cape Sounio and the Temple of Poseidon. It was a beautiful drive, and Diana is knowledgeable and passionate about Athens. We highly recommend Diana! Had a great time going to the local eateries and seeing the local shops. Very interesting. Diana is a true professional and excellent guide. She is extremely knowledgeable of all things Greece and is extremely service oriented. She will help with all aspects of your trip to the country, not just the tour. Cannot say enough good things about her positive attitude and great experience working with her. Diana was an amazing tour guide. We were only in Athens a short time and she did a great job showing us the sights we needed to say. See was extremely informative and gave us some information that only a true Athenian would have. I recommend her highly. TOUR GUIDE RESPONSE: Thank you so much! I love my job. The tour cost much more than it was worth. Our airbnb host was astonished that we booked such an expensive tour when there are many available for far less. We simply drove around Athens, got out several times for photos - almost all of which we could have done on our own and walked through the Acropolis museum. A semi-private (the 3 of us plus one other couple) "hidden Athens" walking tour we did the following day was 1/3 the cost, longer, more informative, and the guide was more personable. TOUR GUIDE RESPONSE: I am very sorry i get such a negative comment after 30 years of positive comments! TOUR GUIDE RESPONSE: Pleasure guiding you. Come back to Greece! TOUR GUIDE RESPONSE: Pleasure guiding you! I thank you. Wonderful perfect day with fabulous Diana! She arranged to pick us up right at the terminal. Although we have been to Athen's famous ruins/sites 3 times and didn't want to go again,Diana convinced us to now see the new spectacular Acropolis Museum-and she was right.This is a DON'T MISS-and with knowledgeable, articulate Diana,it was fantastic!Diana is smart,warm,personable,professional & a delight to be with!We requested art galleries & shopping & she knew exactly where to take us. Highly recommend Diana! 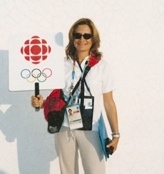 Diana is very knowledgeable, adapts the tour to the needs of the participants and is highly professional. Diana was terrific. Highly recommend her. Would definitely hire her again. Diana's guidance was excellent. She is very highly professional and warmhearted person. TOUR GUIDE RESPONSE: Thank you! I enjoyed being with you. Diana did an outstanding job of introducing our group to the wonders of Athens. She arranged the schedule to ensure we reached the attractions ahead of large crowds and shared tons of information. She even took us to a small restaurant for lunch that was not a typical tourist stop. At the end of the day, we felt we had seen the most important spots of Athens, yet never felt rushed. Definitely recommend her to anyone going to Athens. TOUR GUIDE RESPONSE: I am glad you enjoyed my work and your day! Thanks a lot. Diana is the perfect guide; knowledgable and friendly. She showed us a terrific time and directed us to great restaurants and activities. We had two WONDERFUL days with her!!! Diana was a fantastic driver and tour guide. She picked us up at the hotel,bags and all, gave a very insightful and very informative tour of Athens prior to taking us to the port and cruise ship. TOUR GUIDE RESPONSE: Perfect! Thank you for choosing me and trust my country for your holidays! Diana was an excellent tour guide with very good English. She gave a superb city tour of Athens explaining things in detail, especially of the Acropolis and Parthenon. She even arranged to get our driver to take us to the airport the next day. Diana a parfaitement compris ce que nous désirions: un tour guidé d'Athènes en voiture pour des personnes âgées qui avaient de la difficulté à marcher. Elle a donné des renseignements passionnants sur l'histoire de la ville et elle a su nous montrer en 4 heures l'essentiel de la ville et les points de vue les plus impressionnants. Diana est chaleureuse et enthousiaste et nous garderons, mes parents et moi, un merveilleux souvenir de cette demi-journée passée avec elle. TOUR GUIDE RESPONSE: Je vous remerci infiniment et je vous souhaite sante et bon voyages. TOUR GUIDE RESPONSE: I had a good time as well! Happy New Year and we will meet again. Diana was charming. Our day composed of seeing all the major sites and a fabulous lunch in the plaka. She was very knowledgeable and a pleasure to be with. My teenage son, husband and I highly recommend her. Our tour was wonderful. Diana was wonderful. Greece was wonderful. Diana was able to take us to all of the important sites in Athens. She explain each site with the skills of some with many years of experience. Diana's knowledge of Athens is incredible and the way she shared it with us was fantastic. She also was more than helpful for me as I am mobility challenged and she knew the ramps and lifts that made the visits much easier. She also took us to a wonderful, non-touristy place for lunch that was authentic, great food with a view of the Acropolis. We thoroughly enjoyed the tour and getting to know her. Very fun day with a very smart guide. We got to see everything we wanted including a swim and lunch! This was the second tour to use Diana and we had another great time. Diana is a wonderful extremely knowledgeable guide. We hope our travels allow another tour with Diana. Thanks again for a great day!! TOUR GUIDE RESPONSE: I hope i see you again and have finally lunch at home this time! Thanks for coming back and choosing me once more. I wish every client i have is like you! Our tour with Diana in Athens was great. We were worried about the crowds and heat but she did an excellent job arranging the day so that we missed the crowds everywhere we went. We particularly enjoyed visiting the Acropolis museum where Diana's commentary really made the history come to life. Very engaging personality and we enjoyed getting to know her and asking questions about life in Athens today. Highly recommend Diana for a tour. TOUR GUIDE RESPONSE: Ι thank you so much! I am happy you had a great time. Diana was excellent!! Took us to places normal tours don't go, was extremely flexible, nice and funny. Our family thoroughly enjoyed her personality, knowledge, experience and kindness. First rate. I would recommend her to anyone. TOUR GUIDE RESPONSE: I am so glad and happy for you! Thank you again, Enjoy life!!! Excellent knowledge of history and local sites Very professional Listens to needs of customers Accommodating personality Over-all rating: superior Thank you much !! TOUR GUIDE RESPONSE: I thank youuuu! Take care. Professional, accommodating, friendly & knowledgable guide. We enjoyed our private tour with Diana. Our tour with Diana was above and beyond our expectations. She met all 6 of us girls at the airport with a cheerful smile and great enthusiasm. What a fabulous way to start off our girls trip to Greece. Diana shared info about Athens on our drive into town and then made photo stops before stopping at the Acropolis and lunch at the Plaka. We all truly enjoyed her company and everyone praised her relaxed touring style. Perfect in every way....Would HIGHLY recommend Diana to future travelers. TOUR GUIDE RESPONSE: Μany thanks sweet ladies! I hope you had a great stay in Greece and see you again. All the best to all of you! We had a great day visiting Athens and Diana was the perfect guide for our large group. She was infinitely flexible and intuitive, understanding when we wanted more and when we were too hot and tired and just wanted a nice lunch! She knows the area and history intimately so she was able to get us to the Acropolis at the best time with short lines and minimal crowds. The half day tour was ideal as we then had time to ourselves for a local lunch and some market shopping. We highly recommend Diana! Thanks! Diana we very knowledgeable. We have been to Athens before but learned many new things during our tour with her. Diana was very knowledgeable of Athens and its history. She was adaptable to our needs throughout the tour. She did an exceptional job. TOUR GUIDE RESPONSE: I thank you a lot! TOUR GUIDE RESPONSE: It was my pleasure meeting and guiding you! Thank a lot. Diana was wonderful! She gave us an excellent tour, was on time, shared a wealth of information and experience and made our day perfect! We would highly recommend her as a guide!! Diana did a great job on our tour with her! Everything went as expected. She was very knowledgeable and we enjoyed the time we spent with her. We would highly recommend her. Diana could not have been better -- we were a group of 4 adults on a half day tour. She has knowledge, personality-plus and sensitivity to needs. She was earlier than on time for the pick-up, managed difficult Athens driving and parking with ease, and we just liked her personality and commentary. Anyone looking ... You will not go wrong and you will be very pleased! Diana is a pro and interesting to boot. Diana was great. Met us at the ship right on time and off we went. Four hours was just enough for us and Diana made the best of those four hours. We had requested that she drop us off at The Platka so we could leisurely shop. She did and walked around with us for a bit pointing out the best places to shop and even suggested a restaurant where we stopped for a quick lunch. We were all very happy with Diana as our tour guide. Very knowledgeable and spoke excellent English. TOUR GUIDE RESPONSE: I am happy you enjoyed your short stop in Athens so much! Best wishes for a better year. Diana was THE MOST perfect guide for our family of 4, she gave us a wonderful driven and walking tour to fit our brief time available in Athens,. She made a tour especially for us to suit the ages of our kids and the scorching heat. She was fun and VERY informative, and over and above all this she helped us with some other of our travel plans with great tips and she also recommended (and pointed out) several restaurants too (the one we chose was perfect for us) We cannot recommend Diana more highly! TOUR GUIDE RESPONSE: T H A N K Y O U S O M U C H!!! We booked a 4-hour tour of Athens with "Tours by Locals" and we were fortunate enough to have Diana as our tour guide. She arrived at our hotel promptly and she was very personable from the very beginning. She was professional, knowledgeable and informational about the sites she took us to. Diana was very accommodating and a sheer pleasure to be with. I would highly recommend Diana as a very congenial and qualified tour guide. Thank you, Diana, you made our time in Athens memorable. Diana was very nice and patient with the kids. She showed us around and explained everything very clearly. We asked her to extend the tour, and she had no problem. We had a good time! Diana gave us a great tour of Athens!. We loved seeing the Acropolis and she was very friendly and knowledgable about the whole city. Diana gave us an excellent tour and took our needs and wants into consideration. TOUR GUIDE RESPONSE: I enjoy that you had a great time and you appreciate my work. Thank you! Diana and this tour is a must. Because of possible rain, Diana was able to rearrange our activities and we saw everything and then some. Her knowledge is endless and very interesting. I will never go on a large group tour again. This is the only way to tour. Diana started as our tour guide and quickly became a friend. Thank so much! We found Diana very knowledgeable and a lot of fun to be around. We would recommend her to anyone...anytime. Diana was a great guide for Athens. So knowledgable of the city, history and sites to see. We spent 8- hours with her, 4-Adults & 4-teenagers, she related to all of us and made our visit to Athens very special and unforgettable. Her restaurant recommendation in the Plaka area was the best! Thank you for a wonderful day tour! TOUR GUIDE RESPONSE: I am very pleased i fulfilled your expectations. Take good care and hope to see you again! Diana met us at the port and started us on our Greek adventure. She shared information on the country and the city as we drove to our first destination. Diana carefully arranged our itinerary to avoid lines when possible. This allowed us to see more things. We enjoyed the local restaurant that Diana suggested. The day we were with Diana was a day of political unrest in Greece (the Prime Minister resigned), but Diana"s knowledge and expertise made this a non-factor for us. Diana is great! Experienced, personable, knowledgeable. You are in good hands if you choose her. She also knows good places to eat! TOUR GUIDE RESPONSE: Thank you very much for appreciating my work! Diana was a wonderful tour guide. Personable, knowledgeable, and helpful. We greatly admired her driving skills in Athens! She is clearly experienced; you can feel safe and secure with her. She took us to places with great food too! TOUR GUIDE RESPONSE: THANK YOU!!!!!!! Diana was very informative. We were very pleased with how organized Diana was. Would highly recommend her to anyone who wants to see sites and learn or refresh their education on the Creek history. Keep up the great work Diana! TOUR GUIDE RESPONSE: Thank you very much! I will give up only if i do not get any good comments, like yours!!! Had a great time with Diana on our 1-day tour of the area on our cruise. She is interesting, full of information, and fun to travel with. She modified the agenda as we went, based on our needs & likes. We will definitely book her again when in the area. Diana is knowledgable and friendly. We happened to have our tour on a day when she was tired from a very busy schedule and rushed due to some other commitments. We appreciated Diana's warm and friendly demeanor and knowledge of Athens, but we were disappointed by frequent phone calls/interuptions (even during lunch). The other tour guides we had during our trip were more focused and attentive, but we did enjoy our time with Diana and think it was just a result of an unusually busy schedule that week. Diana is very knowledgeable regarding Athens, its history, and the apprpriate local places to visit. We learned a lot and spent a joyful day with her. I highly recommend enhancing your Athens, Greece visit by allowing Diana to show you around. Diana was extremely knowledgeable and personable, able to answer all questions about Greek history and culture, where to have lunch or buy souvenirs, etc. I have no reservations at all in recommending her as a guide. She was even able to navigate the crazy Athenian traffic well. Outstanding tour guide. Well informed and delightful. We really enjoyed our day with Diana and highly recommend her to all. We had a wonderful tour of Athens with Diana. Her knowledge of the city and its ancient history enriched our first visit to Athens. Diana was very personable and spoke excellent English. She introduced us to an outstanding restaurant in the Plaka District, where we had one of the best meals of our trip. Our thanks to Diana for a most memorable day. Diana was Delightful! Her knowledge of the area and history of Athens combined with her flexibility delivered just the perfect tour we wanted! In addition, she was a fantastic driver and able to get through the city with amazing ease. She is an amazing and beautiful woman. ToursByLocals is lucky to have her.